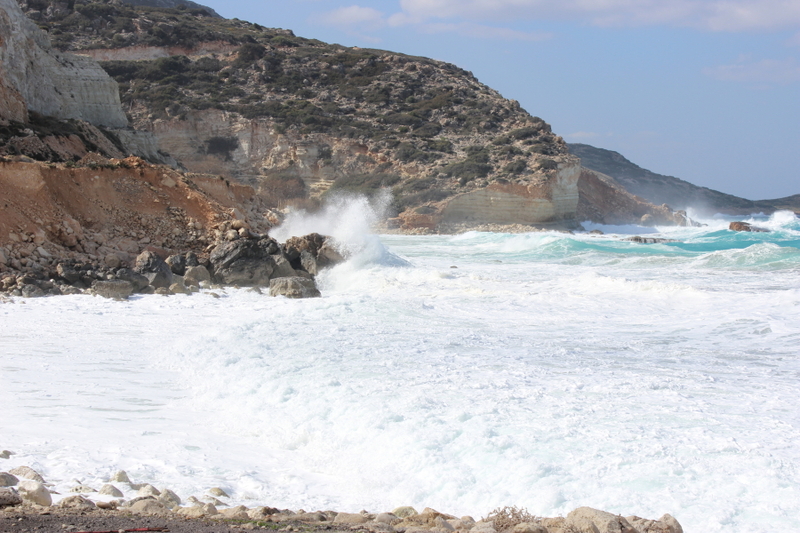 I’ve been very excited about today’s Piece on Place from fellow Bloomsbury author Anne Zouroudi, because I knew she was going to write about a place very close to my own heart: Crete. Anne Zouroudi is the award-winning author of a lively and extremely popular crime series set on the Greek islands. In the seventh sun-drenched instalment, The Feast of Artemis, the fat detective, Hermes Diaktoros, follows a bitter trail through the olive groves to reveal a motive for murder. 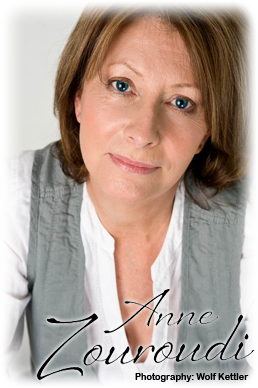 You can read more about the series on Anne’s website. ‘I went to live in Greece at a time I was yearning to be free of my old life – a life of corporate suits, grandiose mission statements and an ethos which said money was everything. When I stopped believing the money part, the game was over for me. My fresh start in Greece appeared warm and welcoming, a world of blue seas and sunshine, of self-sufficiency and simple pleasures – fish hooked over the side of a boat and grilled on a driftwood fire, grapes and lemons picked from the garden, nights sleeping out under the stars. It felt, immediately, like home, and I thought I’d stay there the rest of my life. Long story short: my Greek island wasn’t paradise, after all. A few years later, I came home to northern England with my tail between my legs and a small child in tow, and settled into a low-paid job that fitted around being a school-gate mum. And I wrote. Always a dabbler, for the first time I wrote in earnest. 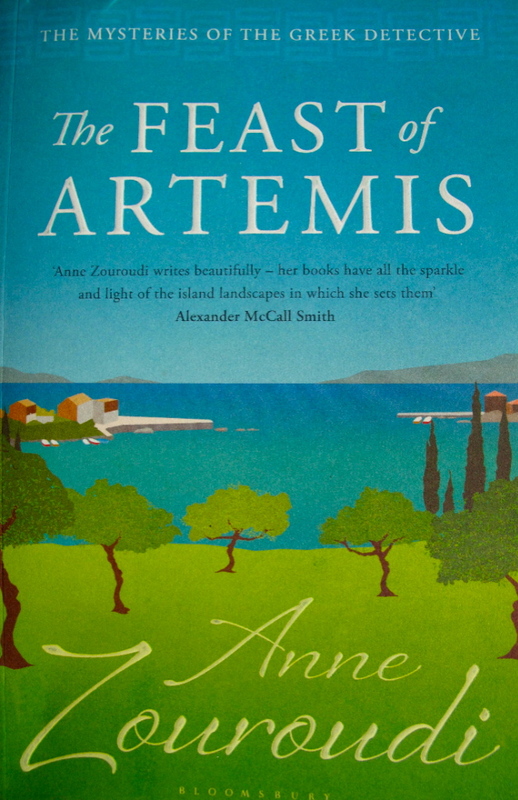 In a rented house in the Sheffield suburbs, I wrote a mystery to solve a mystery: why my Greek island idyll had turned from glitter to dust. The first book I had published – The Messenger of Athens – was drawn from Greece’s bitter winters. Set on a cold, windswept island, it tells of a Greece where the people are narrow and judgemental and there’s no escape from life’s relentless cycle. Birth, marriage, death, repeat. But like a woman yearning for a bad-boy lover, I couldn’t stay away. In writing about Greece I found my authorial voice, and I travelled there often, collecting anecdotes and photos, notes and hasty vignettes of people, places and happenings crying out to be included in my books. Memories retreated, and my view softened. I remembered the joy of constant summer sunshine, and how it feels to be warm deep in your bones. I re-discovered the pleasures of swimming in clear seas and watching the world go by from a harbour-side table. The books I was writing became sunnier, and over time, I fell in love with Greece all over again. Yet I never wanted to return to the islands in winter. The difficulties of those hard times stayed with me, and for years I had no wish to put my hand back in the fire. 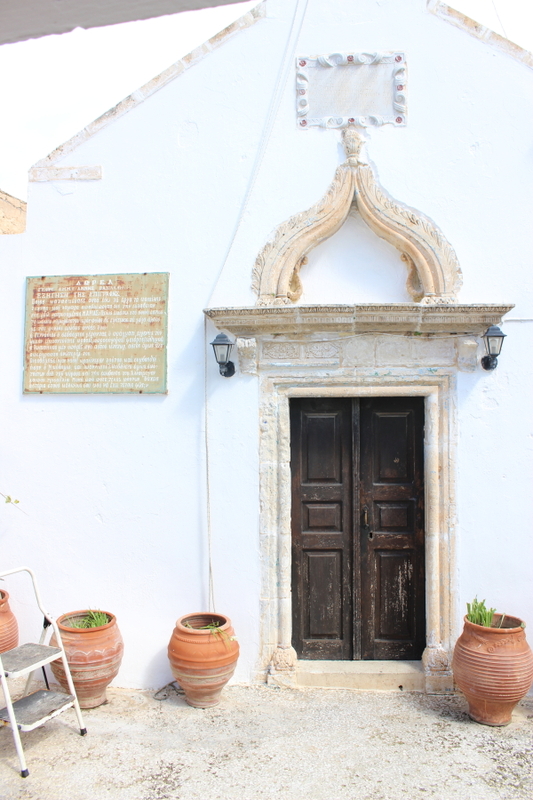 Then, in January, I was offered a house-sit in a remote Cretan village, long before the first warm days of the year were due to arrive. It seemed too good a chance to miss: a rent-free house, and weeks of writing-time re-immersed in rural Greece. In truth, I had no expectation of repeating my experiences; I expected life in remoter Greece to have moved on, that the cold and inconveniences of twenty-five years ago would be well in the past. I thought I’d find the best of both worlds, peace and wonderful views coupled with hot water on tap and central-heating. Those comforts weren’t there. High on a Cretan hillside, I was cast back in time, watching the rain from the window, firing up a wood-burning stove for warmth and cooking. The village was just the same as the one I’d left behind: men drinking raki in the kafenions, women foraging for dandelions and sorrel on roadside verges and working, always working, little more than domestic slaves. But the rules those women felt bound by – the rules I used to play by – no longer applied to me. This time, I was an outsider, with an outsider’s freedoms. With no-one but me to please, I didn’t have to care about what the neighbours thought if I didn’t wash my carpets or sweep the pavement by my front door, and there was no husband demanding to know what was for dinner. This time, the remoteness of the place was not a downside. I had quiet when I needed it, and a car to drive to town when I wanted company. I enjoyed the challenge of keeping the fire going, and the long hours spent preparing ‘winter’ dishes of vegetables and pulses. I walked, and I drove, and no-one asked me where I’d been; I talked to whom I liked, and there was no scandal. The place welcomed me with storms and wind that blew for days, but this time, I didn’t fight nature or its rhythms. When bad weather set in, I sat by the fire and wrote or read and was content to do so, and the rain passed, as it does. When I wrote, the words came easily, and by the time I left that remote place, I had 20,000 new words under my belt. If you’re interested in visiting Crete yourself, here are some places along a remote stretch of the south coast I can recommend to stay.